Both have patterns repeated in the space. 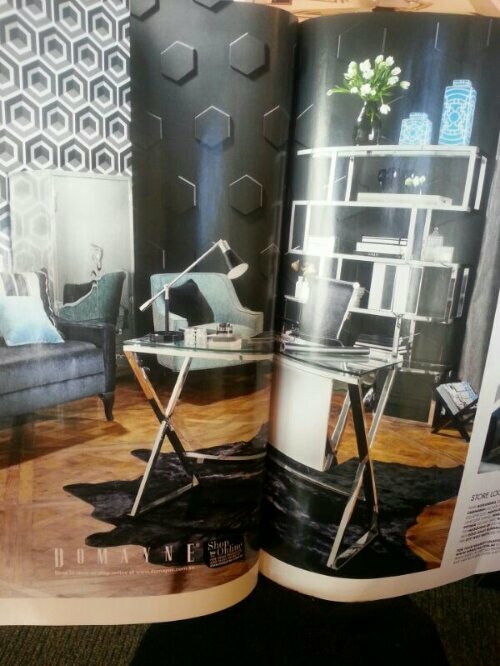 Top pic shows diamond shaped bookshelves w/the pattern reflected in the wallpaper. The bottom inage has the same hexagon shape embossed on the black wall. 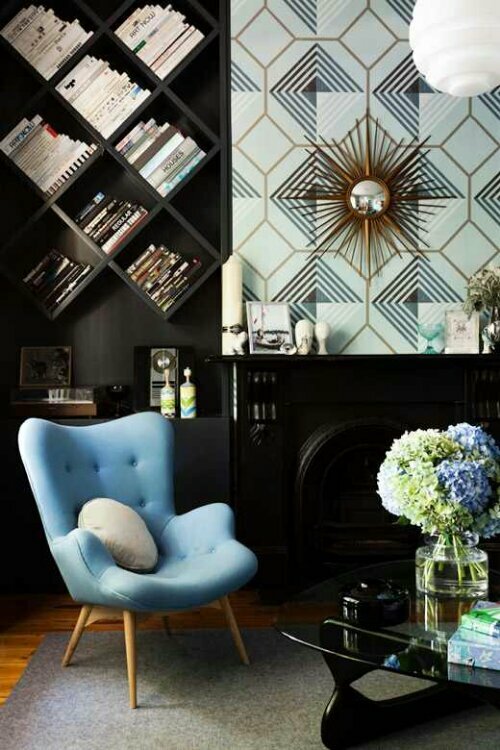 Echoing patterns or designs make spaces feel cohesive.